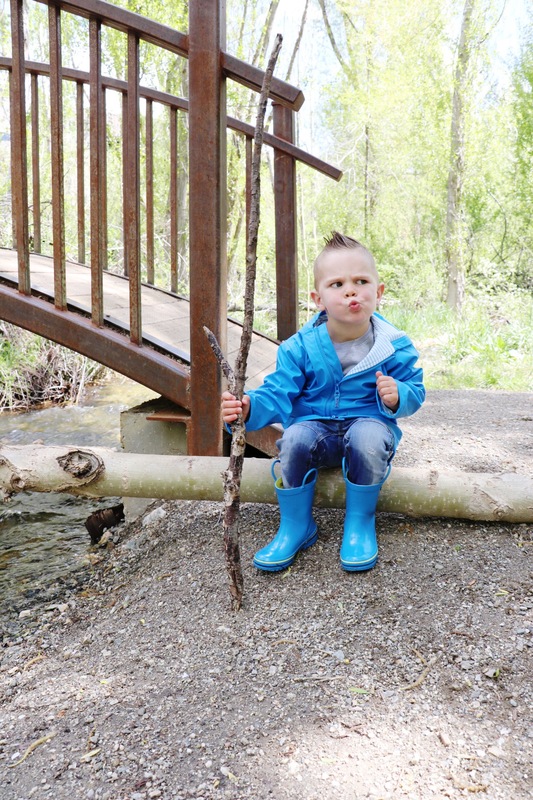 Little Boy’s + The Great Outdoors = two peas in a pod. If there’s any chance of manufacturing a splash, they will make it happen. 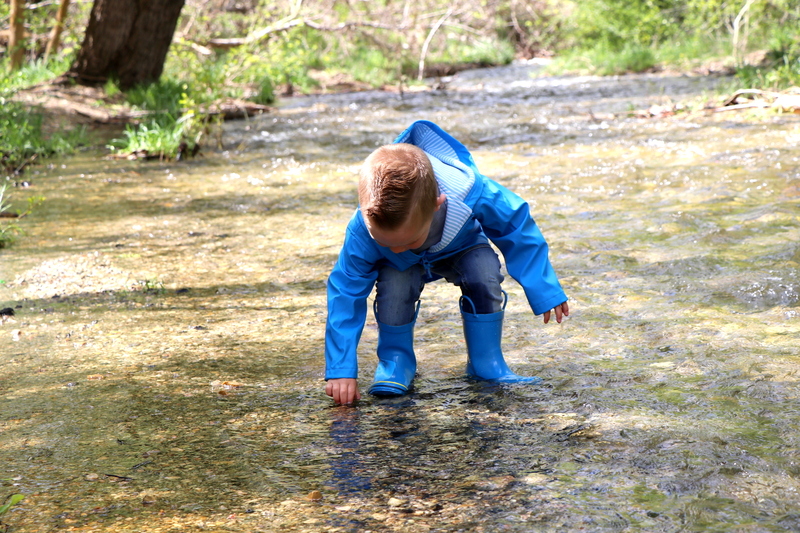 My little guy has never crossed a puddle without first testing the waters. 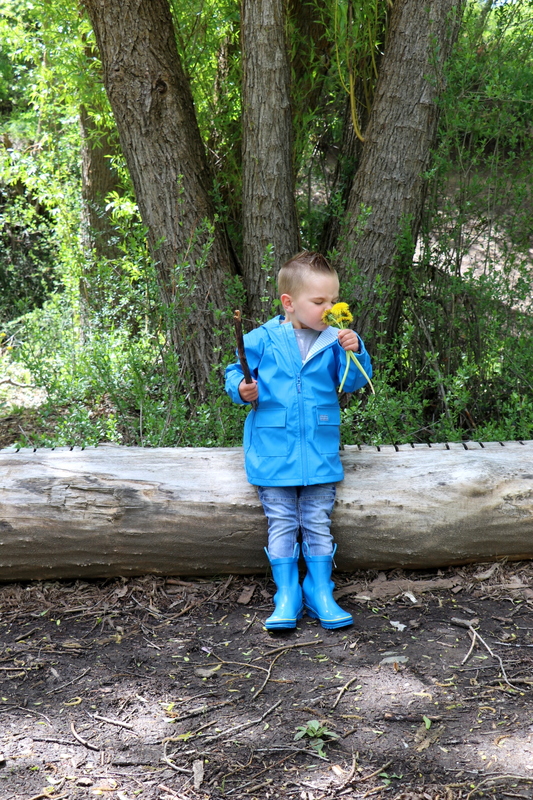 Normally it drives me crazy when he’s wet and muddy… maybe because I have to clean it up, or, could it be that I’m simply jealous of him… Even more jealous now that he’s sporting these adorable Pluie Pluie rain boots and coat from Baby Chelle. His response to opening them said it all, “oh my heck Mom, these are so sick! !” I want him to have every opportunity to be adventurous, get dirty, and explore everything around him. His new boots and coat make it that much easier for him to go nuts. All said, if I looked as refined in my outer wear, you’d most certainly see me right there with him. 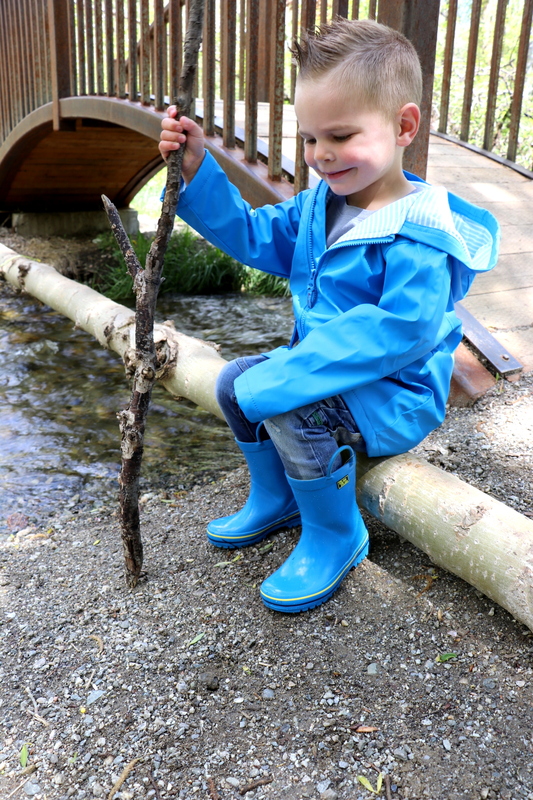 Thanks Baby Chelle for making all of Jacks adventures so stylish and his rain boot dreams come true! You can buy Jacks coat HERE & his rain boots HERE. These pictures are adorable! 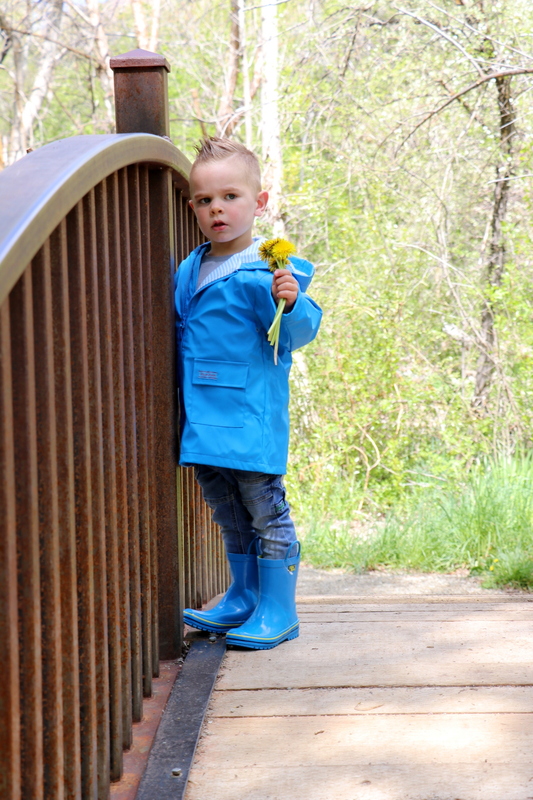 The color of his raincoat and boots is so bright and perfect for the little adventurer. You can definitely tell the quality is there. He will stay dry for sure wearing those digs!! !